Over the years, we ike to listen to what our customers have to say, and build our next range of Bird Tables based on this feedback. 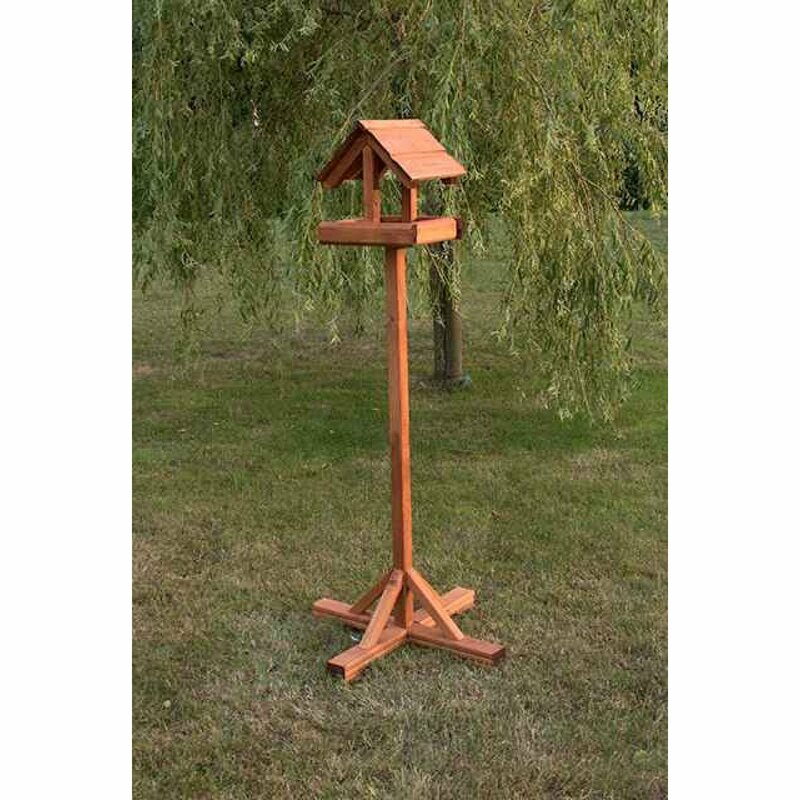 The Ripon is based on some suggestions from our customers, along with our knowledge of Bird Tables. One of our best sellers, the Ripon Bird Table is a simple, modern and clean design in a freestanding layout which looks equally at home in a modern garden , as it does a traditional cottage. Quality construction and sturdy base make this a best seller. I have attached a link to show the bird table stand, we would normally use the pegs that go over the top of the feet that push into the ground if going on grass. But if you want to use big stones/boulders that would be OK. Does the upright come as one piece?